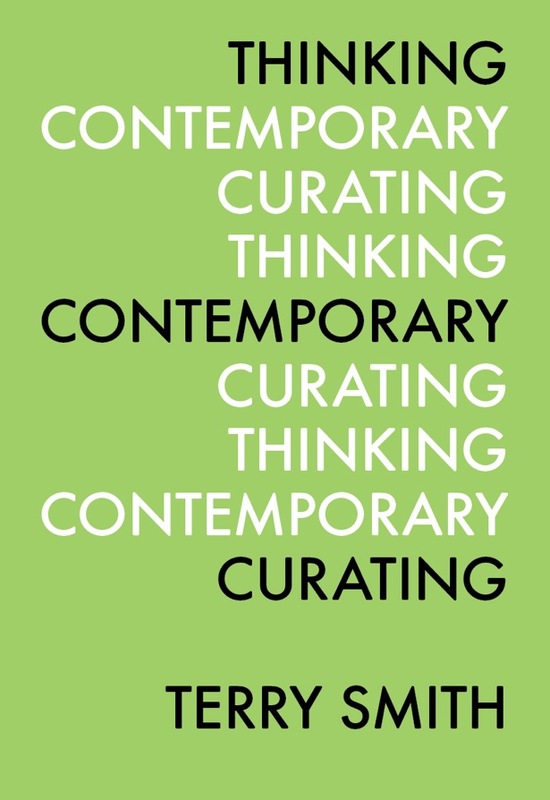 Smith’s five essays in this first book in a continuing series entitled Perspectives in Curating, to be published by Independent Curators International (ICA), is one of a shortlist of critical investigations on contemporary curatorial thought. Other publications in recent years on curatorial history and practice of note include, the selection of curatorial essays What Makes a Great Exhibition? (2006), edited by Paula Marincola, Curating Subjects (2007), an anthology of curatorial writing edited by Paul O’Neill, Hans Ulrich Obrist’s A Brief History of Curating (2008), Selected Maria Lind Writings edited by Brian Kuan Wood (2011), and Everything You Always Wanted to Know About Curating* But Were Afraid to Ask (2011) by Obrist. These titles have helped to spur important discussions on curatorial history, the challenges, and the changes associated with curating in major institutions, as well as the recounts of specific curatorial careers, and reflections on curator’s projects by other curators. Despite the surge of new modes of curatorial practice since the 1990s there are still a myriad of questions percolating on what really constitutes contemporary curating. Smith attempts to answer these questions by inquiring about what it is that distinguishes contemporary curatorial thought? [i] In suggesting the harmonization between the concepts of production and the act of producing exhibitions, Smith attempts to extract the elements that he hopes will suggest a comprehensive, critical, and developing discourse on curating contemporaneity. Smith and LeWitt are right. What are we waiting for? DO IT! Smith immediately sets up the impetus for his reflexive mode of thinking by focusing particularly on institutional curating in museums and those of biennials in the 1980s. He then jumps decades ahead to the turn of the 21st Century, which is an interesting leap, considering that throughout the 90s and into the 2000s there was significant dialogue surrounding the issue of a ‘crisis’ in critical thought. This was brought to a head in October journal’s 2001 roundtable “The Present Conditions of Art Criticism,” where art critic and historian Benjamin Buchloch declared the ‘death of art criticism.’ To Smith’s point of differentiating the ‘history of exhibitions’ and the ‘history of curating,’ I do find his curatorial perspectives in the latter part of the 20th Century—in light of modes of critical ‘crisis’ in contemporary criticism that came to a head at the turn of the 21st Century—wanting. While critics were taking a hard look at the discourse of art criticism at that time, curators were also thinking critically and expressing unique modes of curatorial practice within and outside of institutions, that Smith fails to touch upon. If art historical thinking typically seeks to identify the modes, techniques, and meanings associated with works of art produced within a specific place and time, and develops critical assessments based on its position in a current epoch, then shouldn’t curatorial thinkers be developing a sense of historical curatorial thinking as such? Smith, in his deep assessments of a range of curatorial practices—of those developed particularly by spatial and curatorial thinkers like Nicolas Bourriaud, Dan Cameron, Okwui Enwezor, Roselee Goldberg, Maria Lind, Hans Ulrich Obrist, and many others—understands that “the curatorial,” a term coined by Maria Lind, is in need of deep historical consideration, but that in its open-endedness, obscurity, and questioning maintains a rich, spatio-temporal discourse that requires access through new investigations in archiving exhibition making practices. I wonder if in seeking this pointed discourse Smith is leaving out the importance of folding in historical, critical, and even economic aspects that have a major role in shaping this new curatorial discussion in contemporary art. Of the three currents in contemporary art that Smith identifies—retro-sensationalism or privately established museums by collectors like Eli Broad and François Pinault, transnational transition whose vehicle is the biennial, and under-the-radar proliferators or the non-institutionalized Internet-based, alternative, and temporary spaces—all of the aforementioned curators have made exhibitions under the guise of transnational transition. Despite several major curators having taken on full-time positions in established institutions as of the present, many of them have participated in curating and/or founding one or several major international biennials. [ii] According to Smith, these curators have done the work in practice by making exhibitions that challenge the institution, work in varying modes of spatio-temporal considerations, and created epic surveys that embrace a global reach of contemporary artists and spectators. Now it is time to adopt a more dedicated reflexive approach to curating. Smith writes, “perhaps it signals the arrival of a discourse ready to reflect on its own history, originate its own theories, pursue its own research programs, and spin off insights that will surprise not only the rest of us but itself.” He is interested in finding out what makes curatorial practice tick; the types of languages needed to express varied modes of curating; how we trace aspects of thinking contemporary curating’s “coming-into-being,” to use a term Lefebvre employed to describe the dialectical character of spatial considerations; and how is it that we can begin to make (a) record of these achievements. The methodological observations of curating contemporary art that Smith projects are very much in accordance with the organizational structure of his book. The curator’s purpose and drive to “express intuitions, define nuances, articulate ideas, state hypothesis, all the while comparing and contrasting them with the relevant others that are out there,” and involvement in taking “the next necessary step: to think with appropriate others so as to change, improve, and stretch the dialogue,” is precisely what Smith does in THINKING CONTEMPORARY CURATING. (254). The majority of the book is dedicated to exploring the ways in which contemporary curating has been questioned externally through exhibitions and internally by a continually intensifying dialogue between curators and artists. Ultimately, the emanating factor that engulfs all of these constituents, and is distinctive to contemporary curatorial thought, is that of spatial considerations. Curatorial regard for space takes a unique precedence in the evolution and exponential growth in iterations of the real and social spaces of “the biennial” and can greatly inform a developing history of contemporary curatorial practice: from the paradigmatic reinvention of the biennial formats of dOCUMENTA 11 in 2002, where Enwezor introduced global “platforms;” the 2003 Venice Biennale that was split into eleven sections by its visionary director Francesco Bonami; or the concentrated museum setting of Jens Hoffmann and Adriano Pedrosa’s 2011 “Untitled” edition of the Istanbul Biennale, where they developed five group exhibitions and fifty solo project presentations, all of which were inspired by one of five “Untitled” works by the late Félix González-Torres. The biennial continues to be a significant model used in contemporary curating, that is established and re-envisioned by present space. Often dominated by a vast array of themes—location and place, real and social spaces—the biennial defies “the exercise of hegemony” that “might leave space untouched” as Lefebvre questions in The Production of Space, and instead demonstrates an active curatorial system in which the biennial operates. Smith’s notion of recuration is presented to engage the blossoming and envisioning of new spaces, as combined forces of knowledge and action, to prompt new modes of curatorial thought. Recuration, or revisiting/restaging past exhibitions or developing new ones that redevelop aspects of past exhibitions, is the constant reimagining of space in contemporary curating. Smith introduces this concept to prompt curators to expand critical thinking and action in curatorial practice. The primary example of this on a massive scale is the biennial. The simultaneous aspects of continuity and variance inherent to the biennial framework give this structure the binary oppositional force necessary to impact budding spatial renderings. He sees this dynamic in the history of ‘the biennial’ as an opportunity to impact and record the history of curating. Although Smith denotes the “history of curating” as a completely separate genre from the “history of exhibitions,” in considering the vastly intertextual practice of contemporary curators, I wonder if this divide is necessary or even appropriate to the new historical approach. In this instance of establishing a unique curatorial genre, perhaps it makes more sense to keep the history of exhibitions at a close distance, as curators often need to reflect on past exhibitions, even through recuration. While recuration is still in an early state of development as a mode of thought, it makes more sense to overlap the history of curating and exhibitions to continue to build new platforms for curatorial thought in theory and praxis. After all, this inclusive type of thinking creates more dynamic spaces for new curatorial perspectives and a recuration of curatorial history. 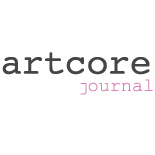 Erin Dziedzic is Founder and Editor of artcore journal. [i] Henri Lefebvre, The Production of Space, trans. By Donald Nicholson-Smith (Blackwell Publishing: Malden, MA, 1991), 16. [ii] Bourriaud is Director at the École Nationale Supérieure des Beaux-Arts in Paris, France, Cameron is Chief Curator at The Orange County Museum in Orange County, California, Enwezor is Director of the Haus der Kunst, Munich, Germany, Goldberg heads PERFORMA in New York, and Lind is Director of IASPIS based in Stockholm, Sweden, while Obrist is the Co-director of Exhibitions and Programmes and Director of International Projects at the Serpentine Gallery in London. This entry was posted on January 23, 2013 by artcore journal in Volume 1, Issue 2: Biennial and tagged independent curators international, terry smith, thinking contemporary curating, volume1 Issue 2: Biennial.